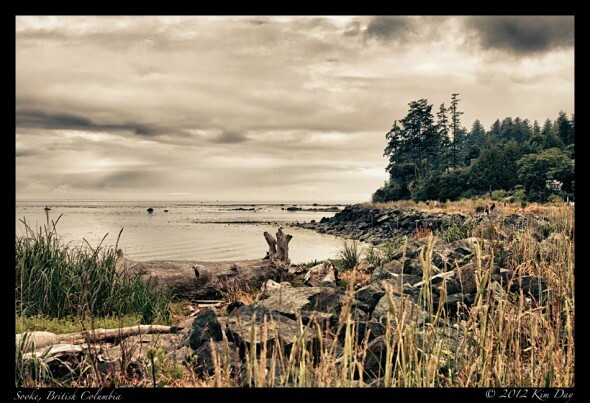 Shot in July 2011 at Wiffen Spit Park, Sooke on Vancouver Island. This shot is my first foray into HDR photography, with Nik software’s HDR Efex Pro. The original shot was taken on a gloomy, overcast, gray summer afternoon. I think this version makes a far more interesting photo. This entry was posted on Friday, March 30th, 2012 at 10:00 AM. It is filed under Canada, Globetrotting: Near and Far, Victoria and tagged with British Columbia, Canada, HDR Efex Pro, HDR Photography, Nik Software, Pacific Ocean, Sooke, Vancouver Island, Wiffen Spit Park. You can follow any responses to this entry through the RSS 2.0 feed.